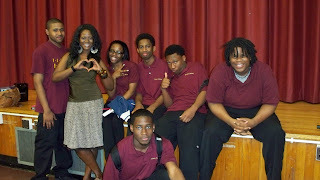 Bronx Academy of Letters - They really like me! 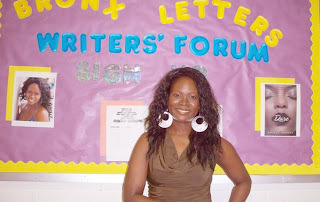 Bronx Academy of Letters – They really like me! Remember when you were in high school and some colossal bore came for an assembly? They would set up a bulletin board with info about the person that you didn’t notice in the hallway? Awwww yeah! Well today, that colossal bore was me– YEAH. Actually it was a pretty awesome event. I love speaking to kids. Today I was presenting a reading of selections from Dare to a seminar at The Bronx Academy of Arts & Letters. These were really cool kids with really touching writing of their own. The coolest part for me was that I got to test newly written passages from my upcoming young adult novel. They really enjoyed it, which was wonderful for me because high schoolers are the most brutally honest audience on the planet.